OGDENSBURG- Funeral services for Donald L. Griffith, 86, of Ogdensburg will be private. 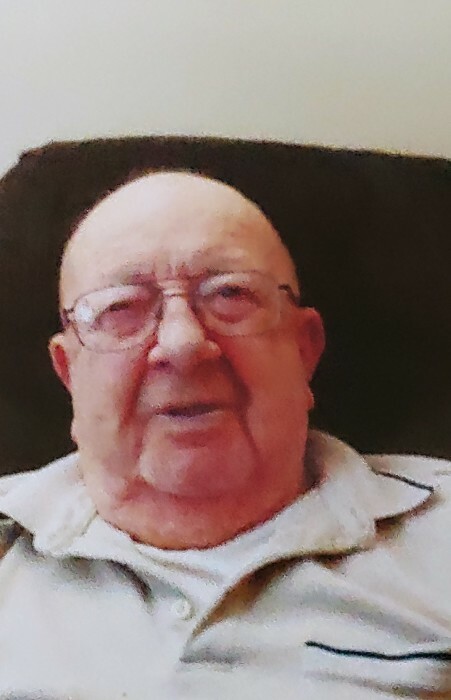 Mr. Griffith died on October 12, 2018 at St. Joseph’s Nursing Home in Ogdensburg surrounded by his loving family. Arrangements are under the direction of LaRue & Pitcher Funeral Home. Donald L. Griffith was born on June 16, 1932 in Dekalb, New York. He was the son of the late Eugene and Ioda (Gilson) Griffith. He graduated from Ogdensburg Free Academy. On July 10, 1954 Donald married Miss Mary Margaret Pollard at the First Congregational Church in Ogdensburg. Donald was employed by Diamond National and Shade Roller in Ogdensburg and also Manth-Brownell in Syracuse as a Machinist. He served 10 years on the Ogdensburg Rescue Squad and 20 years for the St. Lawrence Civil Defense. In his spare time he enjoyed woodworking, bowling and fishing. Donald is survived by his wife of 64 years, Mary Margaret Griffith and his children; Donna (Tom) Dunn of Mattydale, Donald (Inga) Griffith Jr. of Texas, Henry (Kay) Griffith of Maryland, Lee (Lisa B.) Griffith of Ogdensburg, David (Sarah) Griffith of Ogdensburg, , Dan (Lisa) Griffith of Ogdensburg, John (Ruthann) Griffith of Ogdensburg, Michael Griffith of Nashville, TN and Scott (Carrie) Griffith of Cato, NY. He is survived by his brother Luther Griffith of Syracuse and 16 grandchildren and 8 great grandchildren. Donations in Donald’s memory may be made to the St. Joseph’s Foundation 950 Linden Street Ogdensburg, NY 13669.